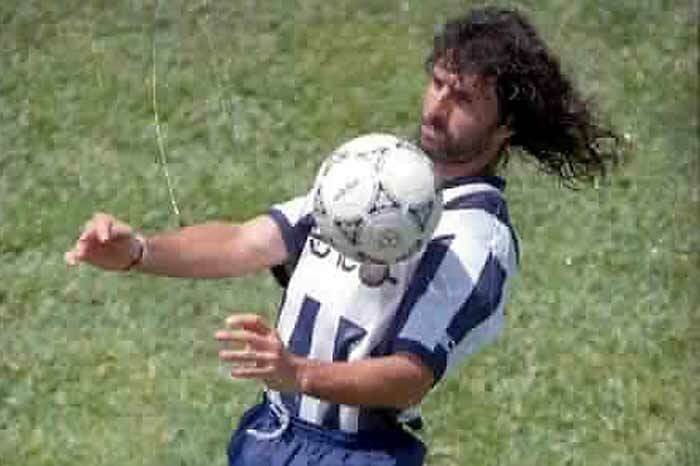 A low quality photo of legendary Uruguayan central defender for Monterrey and personal icon Richard Tavares. It’s so hard to find photos of him online that when I bumped into this one I decided to post it. If you have any photos of Tavares dressed in his Monterrey uniform, send them in! Name: Richard Edunio Tavares Almeida. Born: May 24th 1964, Salto, Uruguay. Teams: Wanderers de Montevideo, Libertad de Concordia, All Boys, Racing de Córdoba, Deportivo Italiano, Boca Juniors, Monterrey, Chaco For Ever, Quilmes, Irapuato, Puebla, Correcaminos y Veracruz. Titles: Concacaf Champion with Monterrey (1993). Current Job: Lottery agency in Buenos Aires. A place where anyone can express himself - as long as it's me.